Every year we go down south to Florida over the Christmas holiday to spend time with my in-laws. And every year Walker and I say "we really should go down for longer". That's exactly what we did! This was the first Canadian winter we decided to spend most of March down south. It felt soooo good (sorry to rub it in) to soak up some sunshine and spend more time with family. If you follow me on instagram, I hope you enjoyed my insta stories and photos (mostly of Vienna!). We are able travel because having our own business gives us the option of working away from home. Even though some days I will admit it was hard finding motivation to turn on my laptop when the beach was calling my name, but I managed to get most everything done that I would have done if we were at home in Toronto. Which brings me to my post today! As you might have noticed, I've started a new series of reviewing healthy eateries in Toronto and places we travel. 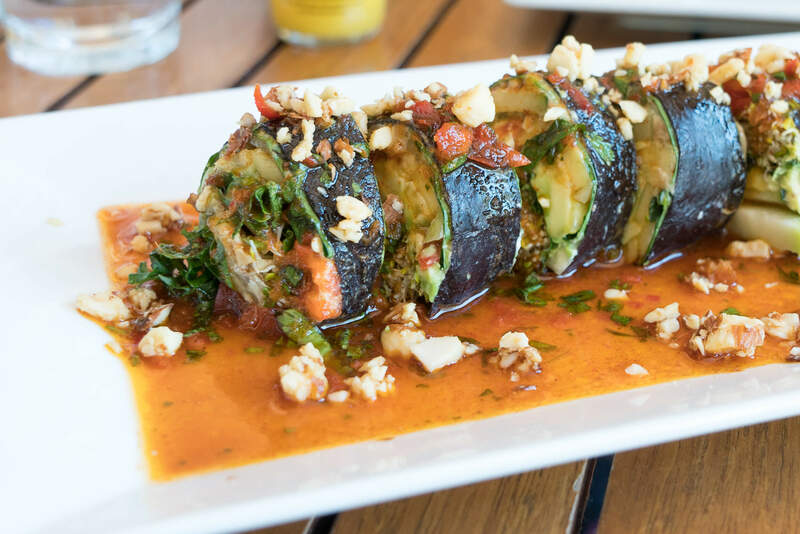 Recently, I review NutBar in Toronto and on our last trip to Florida we visited one of my favourite healthy restaurants Christopher's Kitchen (CK) in West Palm Beach. The four of us (Walker, my mama-in-law Jen, Vienna and I) went for a lovely afternoon lunch together. As we sat down to eat, Walker's mama said "I could eat here every day"... and yes, it's that delicious! 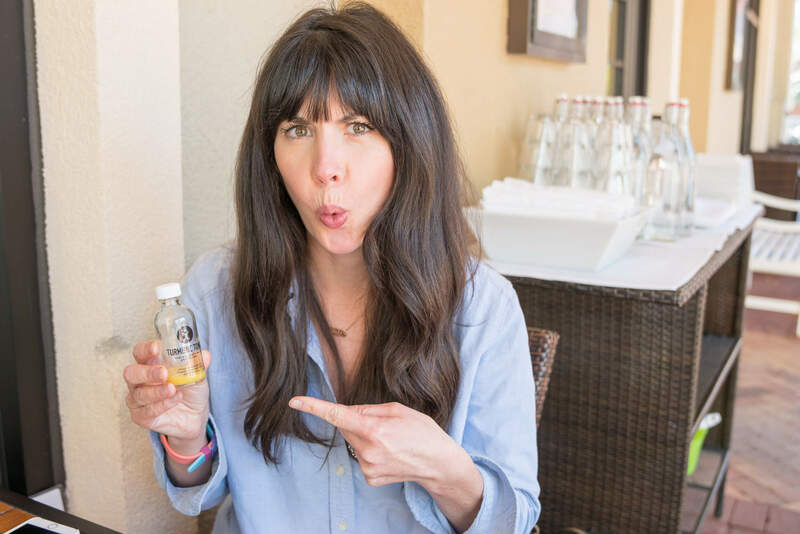 It's food you feel really good eating too, because it's super healthy and absolutely delicious. 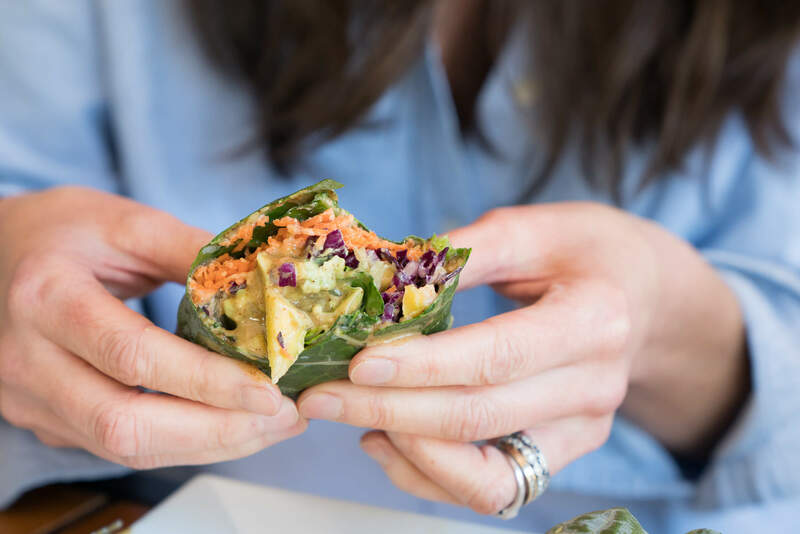 Everything is plant-based and made with fresh, whole ingredients - making it joyous health approved! Here's the rundown of everything we chowed down on. 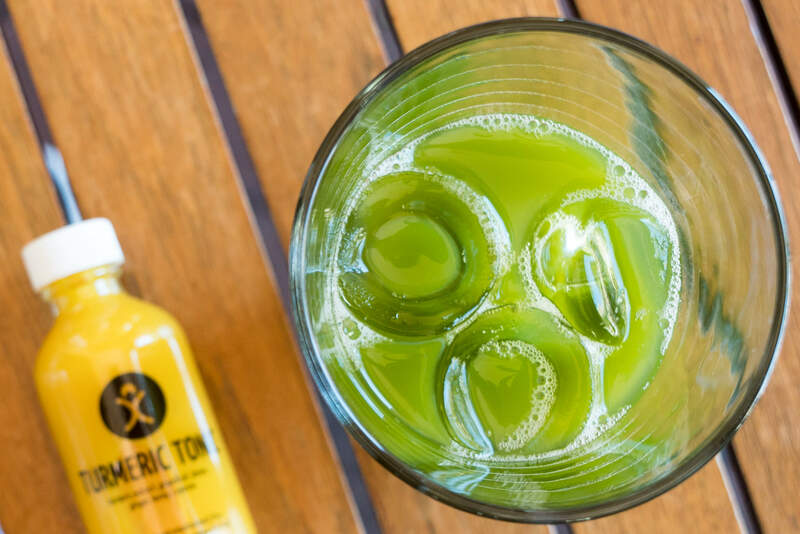 We started off our meal with a "Bright" green juice and a turmeric tonic which was quite spicy! The perfect way to stimulate digestive secretions and get our belly ready to digest some deliciousness. 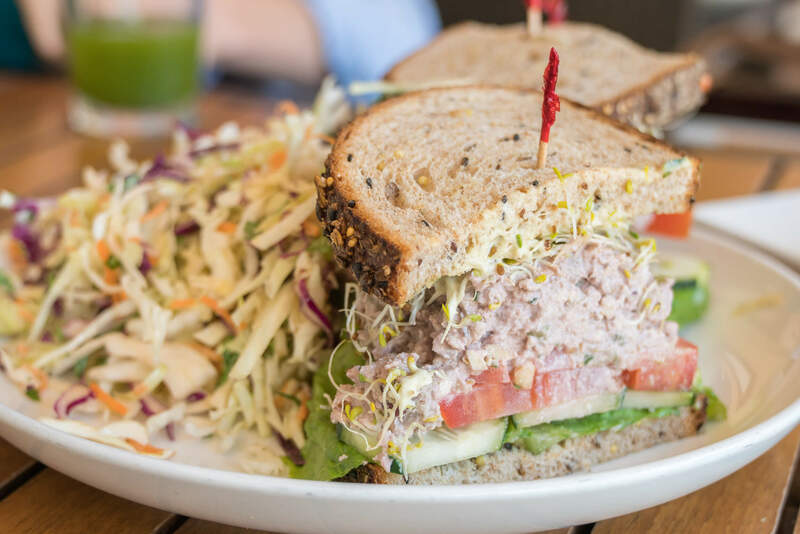 Walker had the “Tuna” Sandwich which wasn't actually tuna but a walnut "tuna" salad with pickles, greens, tomato and more. I had a few bites and loved the zippy zing it had. I love a good ol' crunchy slaw and this side of slaw was a great match with the creaminess of the tuna salad. Jen had a seriously scrumptious roll called the "NYC Roll" which we all sampled. It had avocado, kale, red pepper, an almond ginger paté, sprouts and an oozy goozy "spicy nyc sauce". It was the perfect combo of spicy and sweet. I'm having this the next time we visit. Vienna enjoyed a little bit of everything. 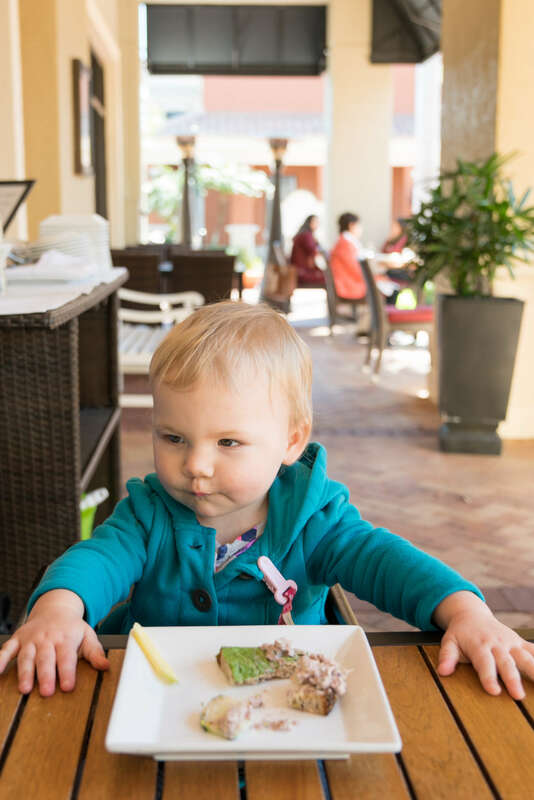 She wasn't too interested in eating but had her fair share of avocado and enjoyed the green juice. My favourite part of this meal and the main reason we visit CK every time we go to Florida are the desserts!! 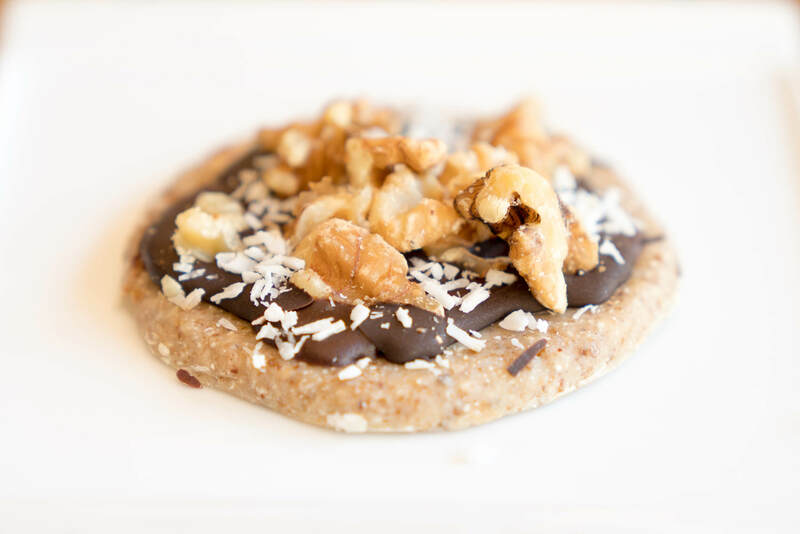 The cookies are the perfect balance of tasting like a guilty pleasure and being totally healthy. 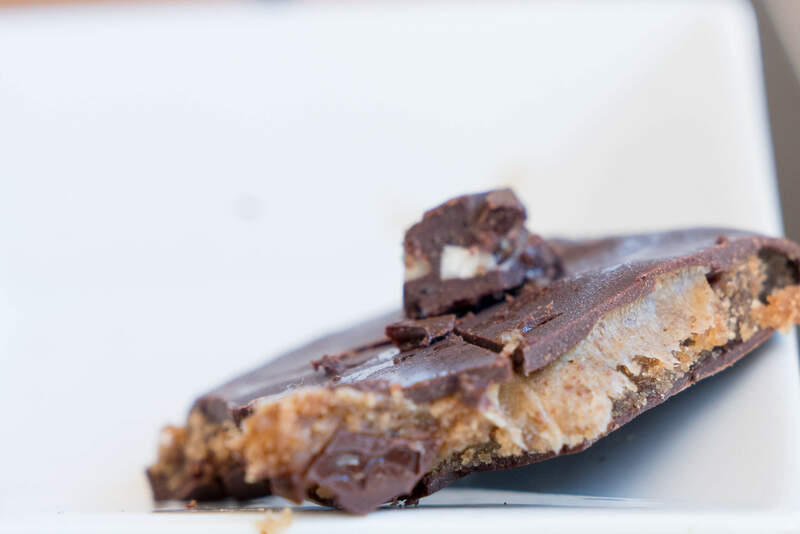 The Peppermint Patty is incredibly addictive. When we were in Florida in December we didn't have a ton of time for a whole lunch at CK but on our last day but we made a special trip just so I could get a Peppermint Patty. I've gotta figure out how to recreate this at home! 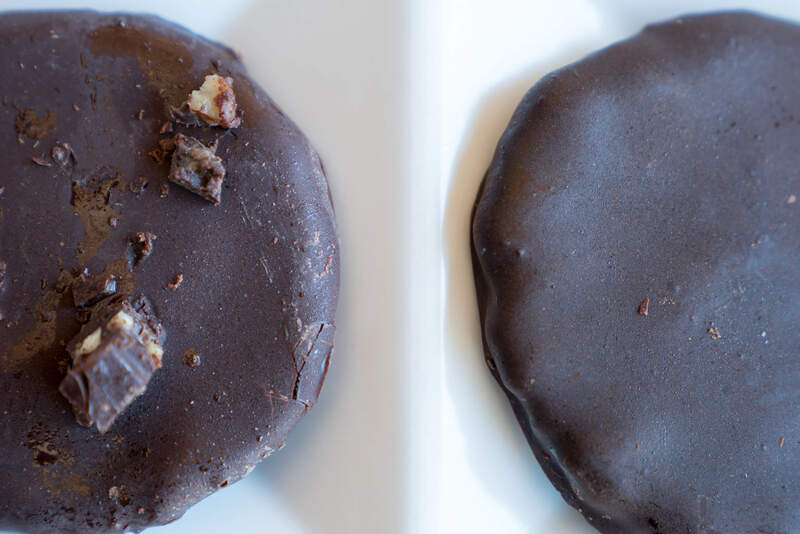 The Peppermint Patty is totally gluten-free, refined-sugar-free and dairy-free. OMG it's so good. Yes, I'm still talking about it. We had two other cookies, but I didn't write down the names because I was in lalaland with my peppermint patty. The cookie below had some ooey gooey caramel inside. Also super yum! Can you see why I saved some room for dessert? There you have it, my review of Christopher's Kitchen. 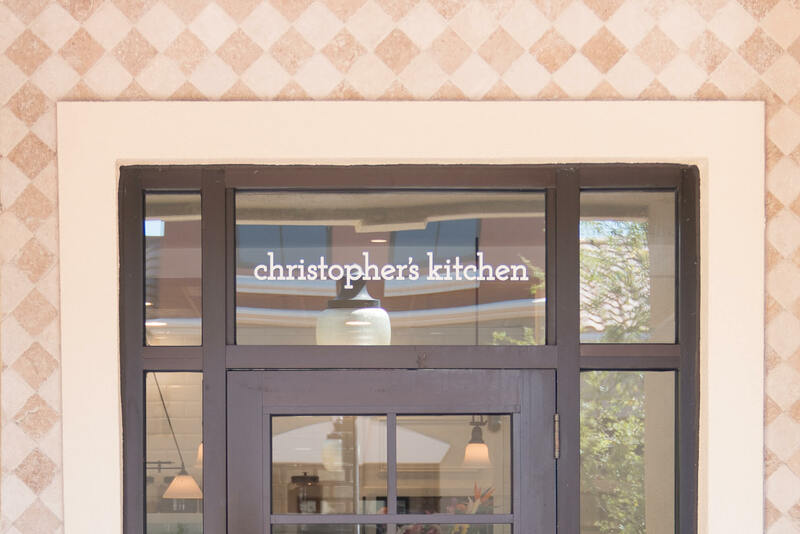 If you're visiting South Florida then Christopher's Kitchen is worth checking out. Everything is fresh, super healthy, even the desserts. If you have any South Florida recommendations, please share below! Everything looks soooo yum, any chance to get some recipes? What are the prices there?